Once one of Europe's best kept secrets, tourists are starting to discover the charms of Croatia. With beautiful beaches, atmospheric medieval walled cities and pristine sun-kissed islands, there's a town to suit every taste and every budget. Celebrities love the elegant island of Hvar, while the fishing port of Rovinj boasts pristine beaches and abundant seafood, making it popular for all inclusive escapes. And let's not forget Dubrovnik (that's King's Landing to the Game of Thrones fans among you). It's not hard to see why Italy is such a firm favourite for city breaks. Who isn't desperate to explore the breathtaking architecture of Rome, the romantic streets of Florence and the winding canals of Venice? 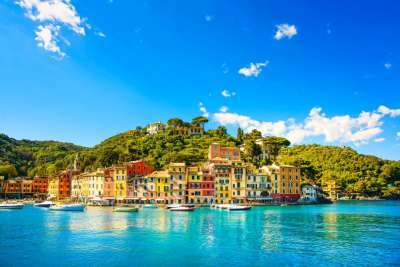 But with miles of beaches and some of the most mouth-watering food in Europe, Italy shouldn't be overlooked when it comes to an all inclusive escape. The beaches of Sardinia could rival the Caribbean, and the rugged coastal cliffs of Sicily make for a picturesque holiday. Then there's the vibrant resort of Rimini, famous for its beachside nightclubs and warm shallow waters. Whether you want to party or relax, Italy has you covered. We get it, backpacking isn't for everyone, but that doesn't mean you can't treat yourself to an exotic Indian escape. 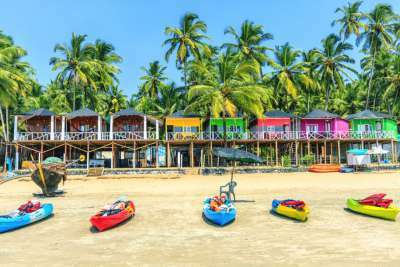 With its Portuguese influences, impressive beaches and heady mix of sun, sea, sand and spices, there's nowhere in India quite like Goa. The cuisine here is not to be missed, with dishes that beautifully blend the flavours of India with those of the Med, and the golden beaches will have you thinking you're in paradise. You'll find a wealth of tranquil resorts dotted within peaceful crescent coves, offering you the chance to really get away from it all. We know what you're thinking, Florida is all about the theme parks, but there's so much more to the Sunshine State than hair-raising thrills. Florida is lucky enough to be surrounded by coast on three of its sides, so there are plenty of top spots for an all inclusive beach break. Visit Miami and stay at a resort right on the coast, so you can spend your days on the sun-kissed sands and your nights indulging in mojitos. For a taste of tranquil island life, head south to the Florida Keys. 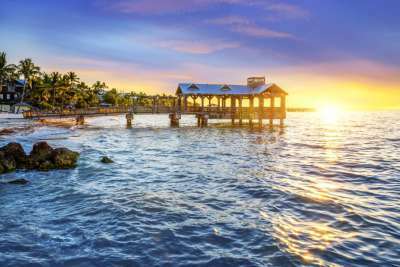 Key West is the southernmost spot of the USA, so remember to pack your sun cream. 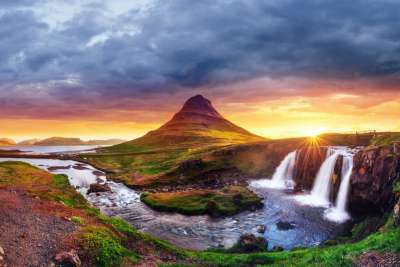 With its frosty name, Iceland may not be the first place you think of when it comes to all inclusive holidays, but what it lacks in sun and sand it more than makes up for in breathtaking natural wonders. Whether you're journeying to Iceland to try to catch a glimpse of the illusive northern lights, or you want to check out the magical sights and unique culture of Reykjavik, an all inclusive stay can give you an Icelandic experience like no other. Spend your days pampering yourself at the natural thermal lagoons, searching for wildlife and wandering the winding streets of the city, without having to worry about paying for dinner. While the Eiffel Tower, the Louvre and Champs Élysées are impressive, there's more to France than just Paris. 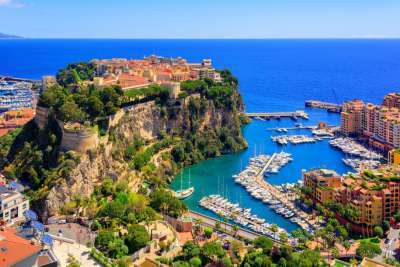 This is a country that truly offers every kind of holiday imaginable, from skiing in the Alps to sunning yourself on the sands of the Riviera. Head to the south for beaches to rival any Mediterranean hot spot, or travel inland and settle into life amongst the rolling hills and verdant vineyards. With some of the most celebrated food in the world, you can expect to be well taken care of with an all inclusive stay, and better yet you'll be able to indulge in a bottle or two of delicious local wine. Bulgaria's popularity has been growing steadily with holidaymakers over the past decade, but it still remains one of the most cost-effective destinations for a week in the sun. 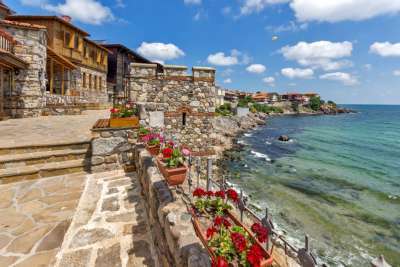 There's plenty to choose from, you can head to the pristine sands of Nessebar and dive into history with a trip to the impressive Byzantine ruins. Alternatively, visit the shores of Sozopol and spend an afternoon at the castle or head to Ahtopol, the southernmost town in the country. With miles of coastline to discover, not to mention some world-class ski resorts, Bulgaria has an all inclusive break to suit everyone. Morocco is a melting pot of Asian, European and African cultures, where you'll discover something new with every visit. 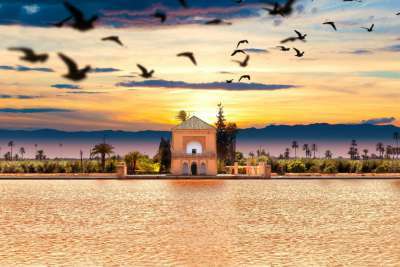 An all inclusive break to Marrakech will place you in one of the country's most vibrant cities. When you're not relaxing poolside at your hotel, you can have your senses dazzled at the souks in the buzzing medina. You'll find plenty to do when you want to get out and about, from spending a day immersing yourself in the opulence of Bahia Palace, to an afternoon walking through the tranquil Majorelle Garden. If beach breaks are more your thing then head the golden sands of Agadir or head off the beaten track to the port city of Essaouira, with its ancient walled medina. Australia is huge. 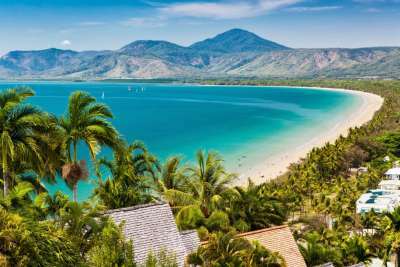 At around 32 times larger than the UK, the whole of Australia would be impossible to visit on a single trip, so why not go all inclusive and see a small part of the country in more detail? Whether you're a nature lover or a culture vulture, Australia will definitely have something to take your fancy. See the world-famous skyline of Sydney, head to artsy Melbourne or relax on the beaches of Perth. Adventurous types can head into the wild outback to explore tropical rainforests, rocky outcrops and mile after mile of desert. The natural wonders of Australia are nothing short of spectacular - just try to avoid the crocodiles. Boasting breathtaking natural beauty, mouth-watering cuisine and a rich and diverse history, Vietnam deserves to be at the top of everyone's travel bucket list. An all inclusive break to this exotic corner of the world can help you stick to a budget, leaving you with more money to spend on exploring. Treat yourself to a tropical escape on the unspoiled island of Phú Quốc, where you can recline on soft white sands and explore the dense jungle. 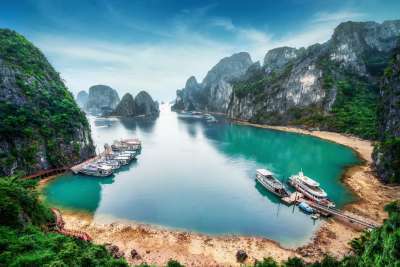 Alternatively, head to the majestic coves Hạlong Bay, where you can head out on a boat tour of the unique islands. Wherever you go, don't forget to try plenty of that tantalising food.